Whether using a CNC drilling machine for a piece of material made from aluminum, stainless steel, wood, or plastic, or something else, the operation is more controlled which leads to a better finished product. For many industries, drilling with a machine such as this has become the standard requirement. Whether for gas direct injectors, spray nozzles, hydraulic valves, or other products, the outcome consists of small but also precise repeatable holes that are of high integrity and functionality. A CNC drilling machine creates holes directed by codes produced by a computer. These alphanumeric codes are stored in the program so once a prototype has been developed and approved, multiple products of the same kind can follow, each with exact characteristics and dimensions. Obviously, this saves tremendous time and money but it also ensures that every consumer product will be made with exact parts. For instance, certain parts on an automobile created with a CNC drilling machine will be identical. That means the automotive manufacturer will assemble thousands upon thousands of vehicles of the same make and model with parts that mirror one another. This ensures high quality across the board. When parts are CNC drilling machined to perfection, not only is the customer happy but also consumers who purchase the manufacturer’s vehicles are 100% satisfied. Simply put, materials that are properly CNC machined go into products that millions of people depend on daily. Consumers spend a lot of money for high quality products, which comes down to how well every small part is made. 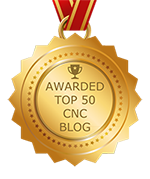 This is why anyone who operates a CNC drilling machine must have very specific education, training, and experience. However, machine shops also have strict quality control measures in place to make sure the customer is always happy with the outcome.